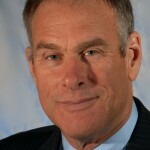 Rick Rule: Current Gold/Silver Prices Not High Enough to Build New Mines - Wall St. for Main St.Wall St. for Main St.
Rick has over 30 years experience investing in natural resources. During this 35+ minute interview, Jason started off the interview by asking Rick about his call on BNN in September where he said he’s short term bearish and long term bullish on oil. Jason asks Rick what he means by that and if OPEC’s behavior is affecting his call and whether he thinks there’s a major oil bust coming soon? Rick talks about OPEC’s poor track record for getting anything they want done done in the oil market with respect to production quotas and also oil prices. Jason follows up by asking Rick if oil companies are making free cash flow at the current oil price? Rick says many are not. Rick says many oil companies are drastically under-reporting their costs and compares them to primary gold and silver miners. Rick says that many primary gold and silver miners are still significantly under-reporting their all in sustainable costs (AISC) to produce gold and silver. Jason and Rick discuss the gold mining industry and common mistakes retail investors make when buying junior mining stocks. Jason also asks Rick if gold mining companies are making free cash flow at current prices and if new primary gold and silver mines will be built at current prices? Rick talks about the Sprott Gold Miners ETF and the Sprott Junior Gold Miners ETFs. Next, Jason asks Rick about Sprott Inc and how Sprott has partnered with the ICE Exchange in order to try and create a new gold futures contract that will only settle in physical gold. Rick talks about how this new venture also aims to go after large pools of capital (pension funds and institutions) and offer them similar services to Gold Money. To wrap up the interview, Jason asks Rick about the craziness of the Federal Reserve and academic, PhD Keynesian Economists, the 2016 election and when markets like uranium and copper will bottom?